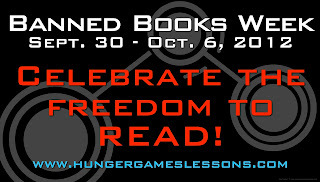 Celebrate Banned Books Week Sept. 30-Oct. 6. 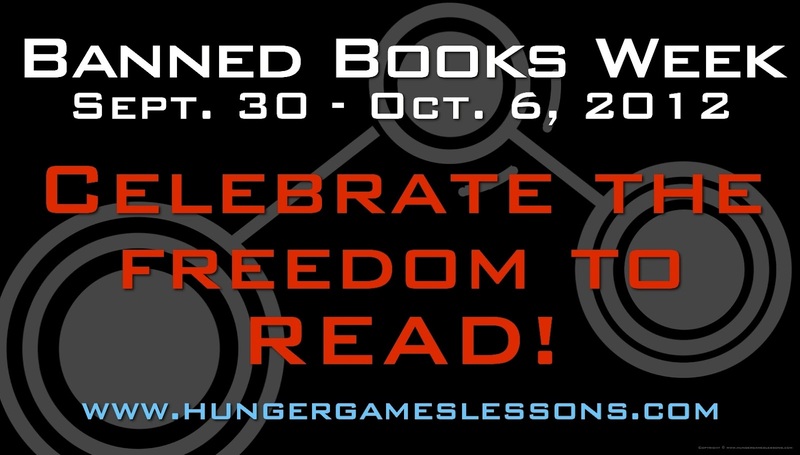 This week kicks off the American Library Association's (ALA) Banned Books Week to celebrate our freedom to read and educate people about censorship. Other books making the list included ttyl by Lauren Myracle, Gossip Girl (series) by Cecily Von Ziegesar, and classics like To Kill a Mockingbird by Harper Lee and Brave New World by Aldous Huxley. Also worth noting is why these books are challenged. The reasons given for The Hunger Games included "anti-ethnic" and "anti-family." And To Kill a Mockingbird? "Offensive language" and "racism." I believe that parents have the right to decide what they do or do not want their children to read. If they are offended by the material, their child should be given the opportunity to read an alternative book. But I do not think those parents have the right to remove materials for all students. I do not want another parent telling me what is right for my son. Censorship only breeds more censorship, and societies that begin to censor materials are preventing the population from becoming informed and educated citizens. Leaders such as Adolf Hitler used censorship to promote his own views. Freedom of speech includes the right to read materials of our choosing. We don't have to like what others are reading, but it is not our place to take away that freedom from anyone else just because it may offend us. If we don't believe in freedom of speech for everyone, then we simply do not believe in it. Period. 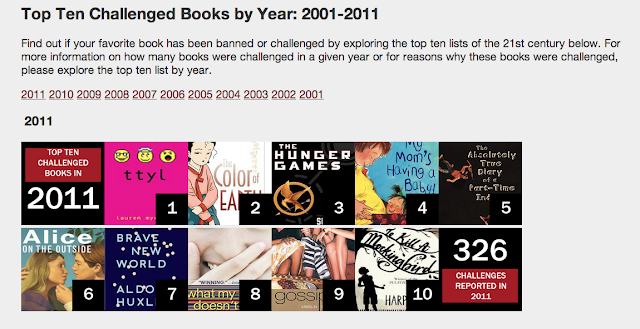 Spread the word about Banned Books Week and check out all the great resources on the ALA's website. I'll be posting about my all-time favorite novel, To Kill a Mockingbird, on my other blog www.traceeorman.com. Check it out later this week to see what I have in store for you! Incorporate Free Rice Into Your Class "Games"